A MAN HAS died following a crash in north Dublin in the early hours of this morning. The driver of a van, a man in his late 40s, collided with fencing at Fairview Park and was fatally injured. A spokesperson for the Garda Síochána Ombudsman said that GSOC is currently investigating the incident and that the vehicle involved in the incident had “come to the attention of gardaí shortly before it crashed”. 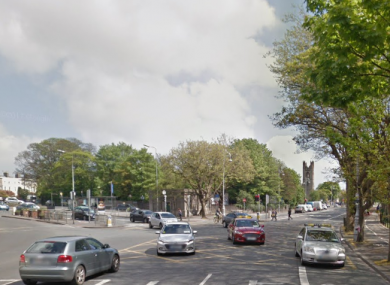 A woman in her late 40s, who was also in the van, was seriously injured and was taken to the Mater Hospital where her condition is described as critical. Another passenger, a 13-year-old boy, sustained non-life threatening injuries and was taken to Temple Street Hospital. Garda Forensic Collision Investigator Officers are at the scene and the road is currently closed to traffic. 1. Malahide Rd inbound is closed from the Junction of Griffith Avenue. Local traffic diversions are in place. Anyone with information in relation to the collision is asked to contact Clontarf Garda Station on 01 666 4800, the Garda Confidential Line on 1800 666 111, or any garda station. Email “Man (40s) dies after van collides with fencing in north Dublin”. Feedback on “Man (40s) dies after van collides with fencing in north Dublin”.